First published in The GAIN LINE Report #6, April 2015. The 2015 Australian Football League season has kicked off. 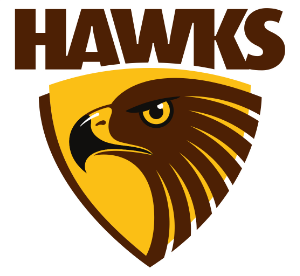 The current premiers are the Hawthorn FC, who will be going for a 3-peat in 2015. How Hawthorn remain competitive over the next few years will not depend upon the playing squad but the organisation's leaders. The last AFL team to win 3 premierships in a row was the Brisbane Lions. The club had a significant 6 year period of finals football, winning 3 and losing one other grand final. However, this success did not continue. In fact, in the 10 years following their last grand final appearance the club's average table position is 11.5 out of 18 teams (with the 17th and 18th team joining the comp in 2011 & 2012). Compare this against the Geelong FC. In the same period they have won 3 premierships and averaged a table position of 3.7. All indications are that Geelong have taken a long term approach to team development. Something Brisbane could not do. Following their recent success, will Hawthorn go down the Brisbane or Geelong path? All indications are that they are acting more like Geelong than Brisbane. Hawthorn have a long serving coach, CEO and the current President has served on the board for a long time. Most notably the CEO took up the position with Hawthorn following 10 years with Geelong. Hawthorn are a good example of what appears to an organisation in alignment, from the Board & CEO down to the on-field group. The critical thing for Hawthorn, and for any club for that matter, is to understand how they have achieved their level of success and ensure the knowledge remains within the organisation. Posted on September 26, 2015 by GAIN LINE Analytics.